Have you been looking for a multifaceted vehicle that offers in style, technology, and power? Then, you should be looking at the all-new 2017 Mazda MX-5. Where others fall short, the MX-5 brings unparalleled performance and luxury to the table. At Island Mazda near Union, New Jersey, we believe that you deserve the absolute best. So, whether you’re looking for head-turning style, innovative technologies, or unparalleled comfort, the Mazda Miata MX-5 has you covered. Check out some of the facts an features that make this vehicle the best-in-class vehicle on the market. The Miata features a gracefully designed frame that embodies style. 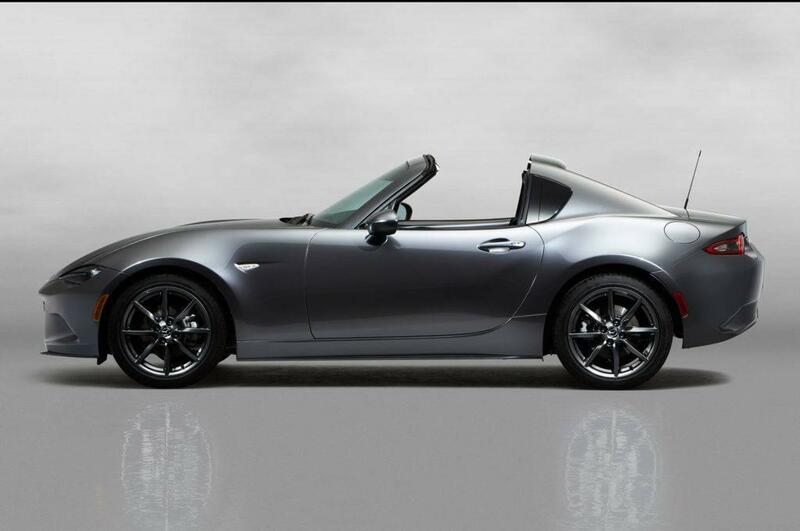 Flowing curves and bold accents ensure that you’ll ride with confidence in the new Miata. The flowing exterior isn’t the only impressive part of the new Miata, however. The interior continues the tradition of excellence with its master-crafted leather accents, an innovative control center, and unparalleled driver/passenger comfort. A touchscreen display is situated neatly in the dash as a control center for hands-free calling, audio controls, navigation and much more. State-of-the-art safety features have also been implemented in the MX-5 to keep you safe while driving. Available i-ACTIVESENSE® technology assists you with seeing around corners at night, lane departure warnings, rear cross traffic alerts, and blind sport monitoring keeps you driving securely. Additionally, if you’re looking for top-of-the-line performance, look no further. The new Mazda MX-5 Miata houses a SKYACTIV® 155-hp 2.0-liter four-cylinder with a six-speed manual that gives this lightweight luxury convertible power. On top of this, the Miata features an average Miles Per Gallon (MPG) of 27/34 city/highway. This is a two door, two-seater vehicle with a soft-top convertible hood. The base MSRP – without incentives – for the MX-5 Miata is $24,915. So, if you’re looking for a new vehicle with complete passenger comfort, state-of-the-art technologies, and unparalleled sophistication, look no further. Stop by Island Mazda near Union, New Jersey to test drive the all-new 2017 Mazda MX-5 Miata! We look forward to doing business with you.